For many new to RVing, driving that “big old box” can be rather intimidating. Making the switch from driving something the size of, say, an SUV to something that seems as huge as a house can give you more than a little pause. With that new size comes a new need: planning ahead with an exit strategy. We don’t mean getting out of the RV lifestyle, but rather, planning ahead to get your RV out of places you might otherwise get stuck in. Here’s a common scenario: Your tow vehicle is low on fuel. Pulling into any old gas station can get real complicated if you find you don’t have room to turn and pull out from the islands. Another scenario? Driving down a back-country road and it just keeps getting narrower and narrower. We’ve been RVing for decades, but sure enough, just last summer this little problem happened to us. Folks new to RVing can get a nasty shock, if you’ll pardon the pun, when they first learn about RV batteries. We got an early education on our first trip out with a truck camper. A day away from home, we got up in the morning after spending the night in the middle of nowhere and found to our chagrin that our truck wouldn’t start. We had no idea that our camper had no battery of its own, and our little furnace fan had sucked the truck battery dry. After a jump, we were on our way with new lessons learned. 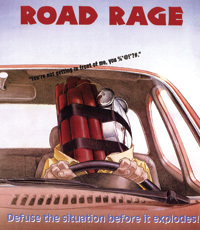 One RVer who prides himself on safe driving had an unforgettable experience with a California Highway Patrol officer. 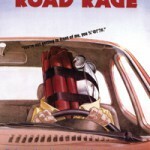 Pulling a 28-foot fifth wheel, the RVer, who hasn’t had a traffic ticket in years, was pulled over and read the riot act by the officer for driving too slowly on a two-lane stretch of Northern California highway. What’s better—a little faster than the speed limit? Slower than the limit? Exactly at the limit? Searching the Internet reveals this question to be one of the most debated and controversial out there. Site after site has comments declaring that those who drive slower than most of the traffic are the ones most likely to cause accidents. Some suggest getting slow drivers to pull over by flashing headlights, honking horns or gesticulating wildly. 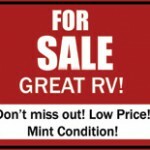 In the market to buy an RV? One of the big choices is whether to buy new or used. 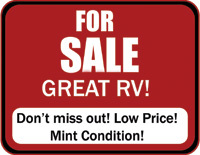 Buying a new RV can give you a measure of protection since your new unit will come with a warranty. Not every new RV is perfect, however, and if there are bugs to be worked out, you may spend some time going back and forth to the dealer. Last month we explored the world of motorized RVs: motorhomes from Classes A, B and C to bus conversions. 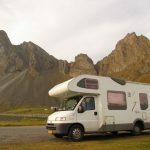 For some, a motorhome is just what’s needed. But there’s a whole other world of RVs to explore—non-motorized RVs. Welcome to New2RVing! 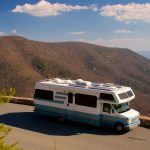 In this occasional column, we’ll talk about topics of interest to people who are new to the RV lifestyle or haven’t even gotten started yet. We hope to answer questions, demystify, and help folks along the fun path of RV living.